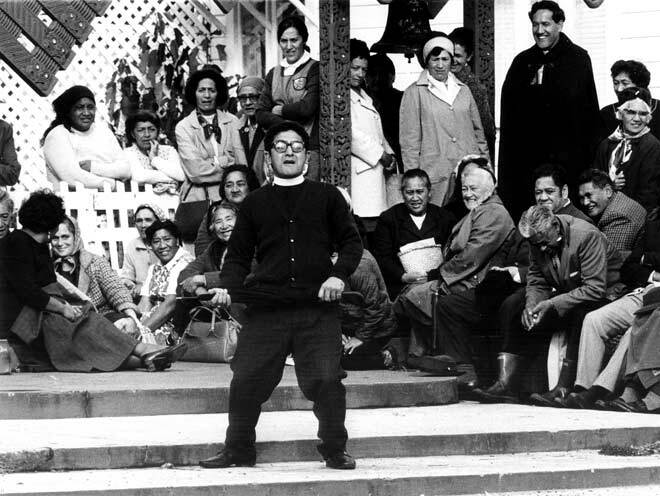 The expressions on the faces of his listeners reveal Taranaki orator Ruka Broughton's ability as a humorist, even during a formal whaikōrero (speech) on a marae. Puns, anecdotes and jesting insults, sometimes extremely rude, are valid and admired features of whaikōrero. Broughton's stance shows that the physical delivery of humour in oratory can be vital to its effectiveness on an audience.